My menagère stopped by today with her brand new baby boy, Daniel, and my goodness - he is the tiniest, cutest little boy I've seen. Daniel has quite an extraordinary story. 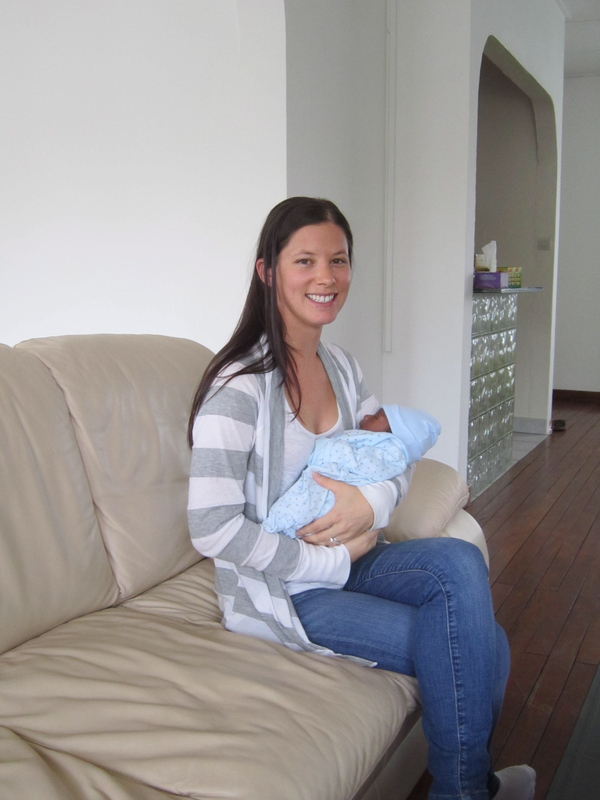 "C" had her last baby 15 years ago and she was certain her childbearing days were long gone. It came as a complete shock when her doctor told her she was pregnant - and 4 months pregnant at that - when she went for an examination to see why she hadn't been feeling well. Due in April, she took March off work to prepare for the baby but Daniel wasn't done surprising her yet. 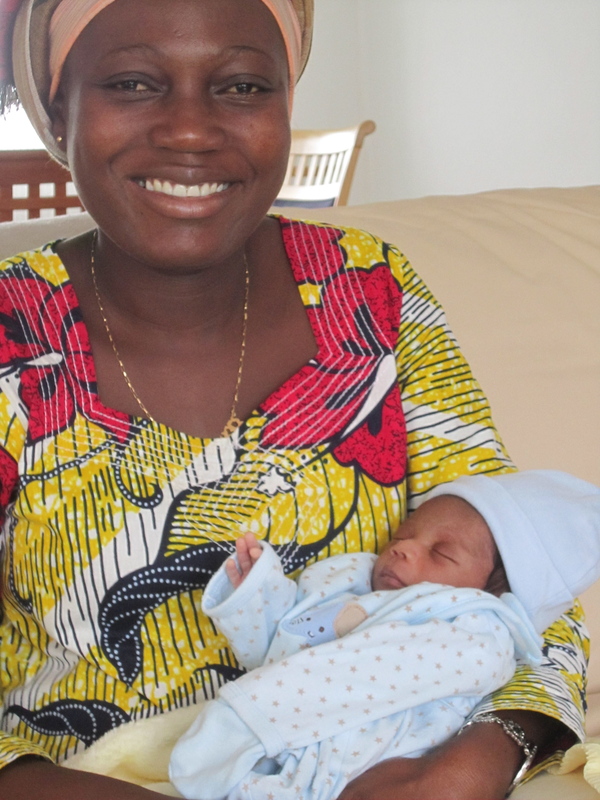 She'd had a few complications during her pregnancy but as she entered the last month, she felt good. Last weekend, she started feeling a little off and decided to visit the doctor Monday morning. Early Monday morning rolled around and "C" was in pain. Within 2 hours, Daniel was born right there in her home, close to 4 weeks early. She was all alone except for her 18 year old daughter and the 17 year old daughter of her best friend. Immediately after he was born, they caught a taxi to the hospital to finish the rest of the delivery and get baby Daniel checked out. I am amazed and in awe of her for the entire process. While I know many women have given birth at home and continue to do so in many parts of the world, I don't know anyone personally who has done it recently, especially without the help of a doula or a medical professional. Thankfully, everything turned out fine and both Mom and baby are doing well. Daniel is tiny and adorable - he currently weighs 2.2 kilos (4.85 lbs) at 9 days old. His little wrist is about the size of my thumb. It's fairly common for babies to be born small(er) than North American standards but even Daniel is considered tiny here! He's eating well and has gained 11 grams since he was born. I'm certain with his entrance to the world, he'll grow to be a strong boy and man.